This is all you need if you already have a mic – To get started, follow our setup instructions to integrate your existing mic with the Sound Shark parabolic sound collector dish. 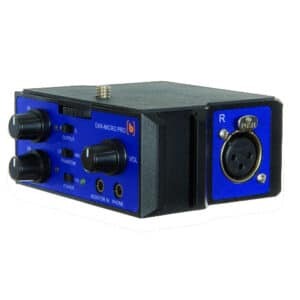 Determine which type of microphone connector your camera, or recorder, requires and select a kits with the proper microphone. Each of these microphones has been tested to make sure they work properly with your Sound Shark. Each of these accessories will help get more use out of your Sound Shark. Click the button below if you would rather use our self-guided shopping page to help you select the right products.